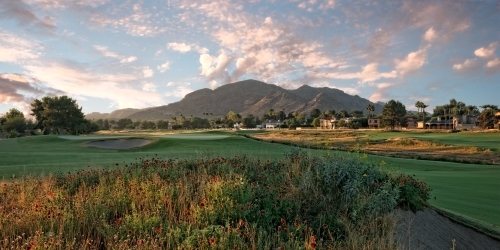 Experience Camelback Golf Club with our Unlimited Golf Package! Valid seven days a week through 11/7/2018. Resort credit cannot be applied to room rate, tax or resort fee and cannot be redeemed for cash. Maximum $23 dollar value per person for breakfast. Limited number of rooms are available for this promotion. Tax is additional. Offer does not apply to groups of 10 or more rooms. Offer cannot be combined with any other promotions. Blackout dates may apply. Advance reservations required. Other restrictions apply. Rates are per room, per night and based on availability at the time of reservations. When calling 800-228-9290, please mention you saw this golf package on ArizonaGolfer.com and mention promo code: GOF. JW Marriott Scottsdale Camelback Inn Resort & Spa - Ambiente reserves the right to change price and offer at anytime. Prices and offer are subject to change without notice. ArizonaGolfer.com is not responsible for errors posted in this golf package.